Named after an ancient lake, Lahontan Reservoir was originally built as part of an irrigation project to water nearby farmlands. With willows and cottonwoods scattered along 69 miles of shoreline, the park is one of most popular places in Nevada to boat, fish, water-ski, horseback ride, camp and enjoy the outdoors year-round. Canoeing from Fort Churchill to the lake makes for a great day trip when conditions allow. Wild horses, bobcat, fox and deer share the park with a variety of birds, including migratory waterfowl, pelicans, herons, egrets and hawks. Lahontan is also a nesting site for bald eagles. Camping: Silver Springs Beach #7 offers developed campground facilities open year-round, with restrooms, tables and grills. Primitive on-the-beach camping is permitted in all areas except for day use and boat ramp areas. A camping limit of 14 days in a 30-day period is enforced. Sanitary dump station facilities are available near both entrances to the park. NOTE: Showers and flush toilets are CLOSED during the off-season from October to May. Picnicking/Day Use: There are two developed, day use picnic areas at Lahontan: one is located directly across Lahontan Dam and one is on Silver Springs Beach. Facilities include modern restrooms, showers, tables and grills. All new facilities are accessible to persons with a disability. Boat Launch Areas: Boaters with four-wheel drive vehicles may launch off of beaches open to camping. Both sides of the park also provide paved boat launching and parking facilities. The Silver Springs boat launch is located near the day use area. The Churchill Beach boat launch, at the North Shore Marina, is located along U.S. 50, one mile west of Lahontan Dam. All boat launching is done at the risk of the user. Fishing: Catch-and-release, bank and boat fishing techniques are used to catch walleye, white bass, the hybrid wiper, catfish, trout and other game fish. 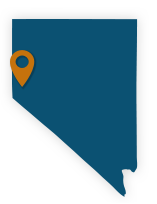 The Nevada Department of Wildlife maintains fishing regulations. See a Health Warning from the Department of Wildlife on consumption of fish. Hunting: Hunting is only allowed in designated areas. See boundary map and brochure. 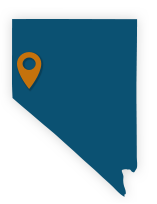 Nevada Department of Wildlife regulations and license requirements apply within the park. The desert is extremely fragile. Proof of this can be seen in the scars left by thoughtless motorists and others who have abused the area in the past. Studies by ecologists indicate that it takes centuries for nature to restore a desert area to its original condition once the soil and vegetation have been disturbed. Drive only on approved routes of travel. Motorized vehicles are not allowed on trails in the park. Only licensed vehicles and operators may drive in the park. No ALL TERRAIN VEHICLES (ATV) or other unlicensed vehicles are allowed. Motorcyclists must wear helmets. The maximum speed limit of motorized vehicles is 25 mph within the recreation area and 15 mph within the beach and congested areas in the park. Pets are welcome, but must be kept on a leash of not more than six feet in length. Boats may not exceed 5 mph within 100 feet of swimmers or within any buoyed flat-wake zone along beaches. Please deposit all trash in the centrally located dumpsters or trash cans in the park. Discharge of any fireworks inside the park is prohibited.